Just as attacks occurred two days ago in Egypt, many more have occurred in Philippines, Central Africa, Mali, Nigeria, and Syria in recent months. Most believers in Allah and the Qur'an are peaceful people who only want to live in peace and freedom. However, why is it that these masses of moderates never protest? Why is it that no Muslim association or group has ever been set up to condemn Salafist violence and terrorists who kill themselves to become "martyrs for Islam"? Milan (AsiaNews) - An Italian man, who recently came back from the Philippines, told me that on the big island of Mindanao, hundreds of extremists came at night from the island's interior and from smaller islands to attack a suburb of the city of Zamboanga, looting and burning houses and huts. They retreated taking dozens of hostages, leaving behind dead and wounded victims. The Italian said that targeted killings and kidnappings are frequent, but perhaps this is the first time that such a large-scale attack on Christians was carried out. Fear of new attacks has spread and nothing will be as before. The government is bound to send in the army and more fighting, revenge attacks and destruction are to be expected. Those who can have fled to other parts of the country, as people's lives and the economy are on hold. From Gulf countries, money is being sent to ulemas, mosques and Qur'anic schools to train young people to fight and accept to become "martyrs for Islam" against the Christian state. Salafists want an autonomous region for the Muslim minority on the island of Mindanao, which would join Malaya and Malaysian Borneo to form a single Islamic state. All this does not make its way into front-page news, and yet there is more. Three days ago, an attack was carried out against a Christian wedding in Giza, in southern Cairo, that left four people dead and 18 wounded according to the latest report. In Bangladesh, people have always adhered to a moderate form of Islam. At present, foreign missionaries and nuns are still allowed in, but in recent years, a number of Islamist movements and groups have stirred people up. They have called on the government to make the Sharia (Islamic law) the law of the land, holding up the country for days with non-stop strikes and demonstrations that often result in unnecessary violence (travellers and workers are stopped, beaten, stabbed and killed sometimes). The small Christian, Hindu and Buddhist minorities are under pressure and have to endure every day specious sentences, acts of injustice, and violence. As Bangladesh's upcoming general election draws near, many fear the worse. The Central African Republic is "one of the most destabilised states in the continent" because of foreign Muslim gangs (from Nigeria, Chad, Niger, and Sudan) who seized power in the capital Bangui, ousting President Bozizé. As Mondo e Missione (October 2013) reported, "during the offensive by Seleka forces (the ruling Islamists), hospitals and health centres were looted and medical staff fled. The health situation is dramatic. [. 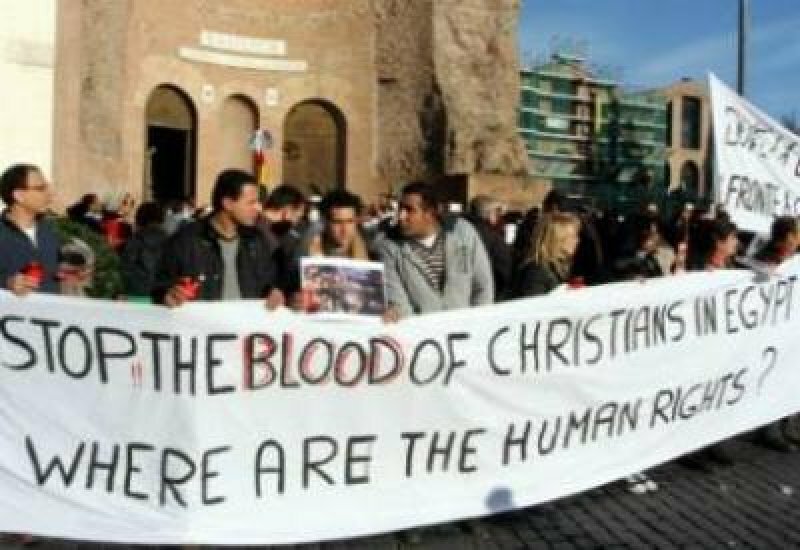 . .] Christians are being targeted by Islamic soldiers," a Protestant clergyman said, "tied, beaten and forced to hand over money to save their life . . . . Seleka rebels have ravaged and plundered places of worship, killing and forcing hundreds of thousands of people to flee, targeting especially Christians." In four dioceses in Central Africa, at least half of all Church assets have been heavily looted, destroyed or taken away. "Everywhere, people are leaving," Mgr Juan José Aguirre, bishop of Bangassou, said. "Civilians are killed and girls raped. They stole everything they could in the dioceses: cars, motorcycles, even refrigerators, television sets, blankets. They destroyed everything: from educational centres to children's facilities." And "In Bohong, foreign Seleka soldiers did not spare a single hut belonging to non-Muslims residents," a report issued by the Diocese of Bohong said. "Throughout the city, except on the Muslim side, the same scene can be seen: roofless, empty homes and blackened walls . . . ."
Needless to say, what happens elsewhere in Black Africa is not much different. Northern Mali is for intents and purposes ruled by Islamist gangs. The south was saved only by the intervention of French Special Forces. In Nigeria, the frequent attacks by Boko Haram against churches and Christian institutions lay bare a plan to expel non-Muslims from all northern states. 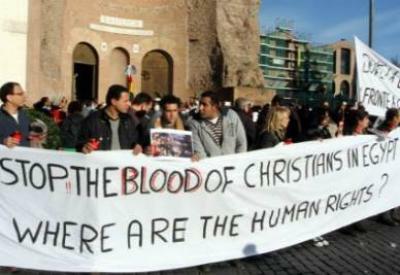 In September 2013 alone, about 500 Christians were the victims of such violence. The West is deluding itself when it says that "this is not the real Islam." Indeed, what is the real Islam? Since terrorists and Salafists say they are Muslims and acting in favour of Islam, only a violent Islam has taken central stage. I know that most believers in Allah and the Qur'an are peaceful people who only want to live in peace and freedom. I have visited every Islamic country, from Indonesia to Morocco, from Somalia to Senegal, from Mozambique to Egypt and Turkey. I have heard Christians and even missionaries, nuns, priests and local bishops always say the same thing. Still, we have the right to ask, why is it that these masses of moderates never protest? Why is it that no Muslim association or group has ever been created to condemn Salafist violence and terrorists who kill themselves to become "martyrs for Islam"? In Italy, there are two to three million Muslims, whose right to religious freedom is recognised. Why is it they never protest against systematic violence committed by their co-religionists? Such questions are not meant to cause offense. I just want to make sure that people in Italy will not come to accept what Domenico Quirico, La Stampa envoy to Syria, said. Held captive for months by Islamic guerrillas, he wrote, "We refuse to realise that moderate Islam does not exist, that the Arab Spring is over and that its new phase involves an Islamist and jihadist plan to build the Great Islamic Caliphate, a political plan that is being implemented starting in Syria with weapons, armies, and money." We, believers in Christ and the Catholic Church, continue to pray, engage in dialogue, accept and show solidarity towards Muslims in need, but we are also entitled to ask certain questions and raise certain issues. Tunisia in chaos: Why is Islam taboo?